You become pretty numb to theme parks when you grow up in Orlando. Every once in a while there is an announcement that gets you excited. Halloween Horror Nights at Universal Studios is always interesting and some of their themes can be pretty fun. This year they’ve already announced house based on the Walking Dead and on the video game series Silent Hill. 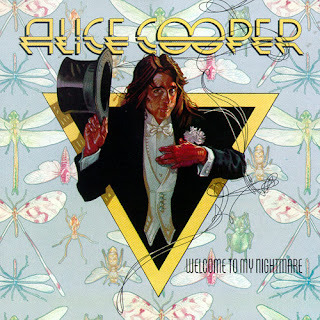 Now they’ve announced a house based on Alice Cooper. 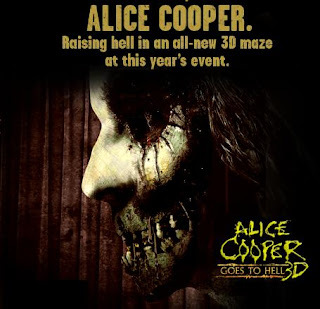 Last year the Los Angeles Horror Nights already had an Alice Cooper house. So it sounds like Orlando is getting a version of that one. Los Angeles is getting a new Cooper maze this year called Alice Cooper Goes to Hell. I’ve been an fan of Alice Cooper since middle school. I’m thrilled that such an horror themed entertainer is still going strong. This kind of news just makes me happy.